Zofran Lawsuit - Do You have a Case in 2019? Find out .. Most women experience some morning sickness when they’re pregnant which can be debilitating and cause complications for those with severe cases. GlaxoSmithKline promoted the drug Zofran for use by pregnant women to help curb their morning sickness. However, the drug was originally intended to help chemotherapy patients with their nausea and it wasn’t tested to find out if it was safe for pregnant women to use. Even though many doctors claim there isn’t a clear connection between the use of the drug and birth defects, a study from Denmark showed otherwise. The study looked at 900,000 pregnancies and allegedly found the drug doubled the risk of heart defects and increased birth defects overall by 30%. As the result of babies being born with birth defects after their mothers were prescribed Zofran, hundreds of lawsuits have been filed in 2017 and before, claiming the manufacturer fraudulently promoted the drug for pregnant women. Zofran, whose generic name is ondansetron, was FDA approved to treat nausea and vomiting in cancer patients undergoing chemotherapy or radiation treatments and after surgeries for people who reacted badly to anesthesia. The drug works as a serotonin receptor prohibitor, 5-HT3, which means it blocks serotonin and other chemicals from causing nausea and vomiting. It is also often used to treat gastroenteritis to reduce vomiting and help prevent dehydration. Along with approved applications, Zofran has also been prescribed for off-label uses by doctors. Along with trying to curb nausea and vomiting due to morning sickness, it has been used to treat chronic nausea and vomiting, sometimes called cyclic vomiting syndrome, which can cause some people to feel the need to throw up six to 12 times an hour for a few hours or even weeks. It has also been prescribed to treat alcoholism by reducing the cravings for alcohol. Zofran was never approved by the FDA to be prescribed to pregnant women experiencing morning sickness and there are no indications it was tested for its effects on the development of embryos. Even though it wasn’t FDA approved for such use, its manufacturer, GlaxoSmithKline (GSK), promoted prescribing the drug to pregnant women with severe morning sickness. In 1999, the FDA issued the company a warning about promoting the drug in a false or misleading manner because of a lack of fair balance. Estimates show nearly one in four pregnant women were prescribed the drug to combat nausea and vomiting. 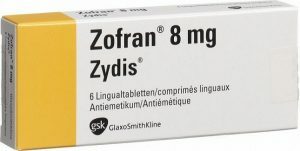 Sales of Zofran reached over $1 billion in 2002 since it was still being promoted as being able to help with morning sickness according to allegations made by two former GSK employees. Even though there are studies showing it presents a risk to developing babies, and complaints have been filed alleging it has caused birth defects, it is still prescribed to pregnant women to help with morning sickness. It’s important to disclose all the medications being taken to doctors to prevent side effects and serious drug interactions. Prior to the filing of the first lawsuit alleging the drug causes birth defects, there were several indications it could harm fetuses. In 2012, the results of a study conducted by researchers from Harvard and Boston Universities showed the use of Zofran during the first trimester made it 237% more likely for babies to develop cleft palates. The next year, GSK settled a case against them brought by the federal government alleging medical fraud for promoting the off-label use of the drug. GSK plead guilty to criminal charges and agreed to pay $3 billion dollars to settle the complaints made by the federal government. The charges alleged GSK promoted Zofran and other drugs for off-label uses. 210% are more likely to be born with atrial septal defects. 230% are more likely to be born with ventricular septal defects. 480% of babies are more likely to be born with atrioventricular septal defects. The studies have shown that most of the defects occurred when women were given Zofran in their first trimester or early second trimester. The first lawsuit alleging Zofran was responsible for a child’s birth defects was filed in 2015 by a Minnesota mother of two baby girls, both of whom were born with genetical heart defects. Several hundred additional complaints were quickly filed against the company. However, GSK is no longer named in legal action as they sold their oncology division to Novartis, who is now named in complaints regarding Zofran. In late 2015, all the lawsuits regarding Zofran were transferred to the District Court in Massachusetts and consolidated under MDL #2657. Both plaintiffs and defendants approved of the transfer to make the proceedings more efficient, but the cases remained as individual complaints. The proceedings allege two complaints: 1) The manufacturers of Zofran, GSK and later Novartis, failed to warn patients, medical providers and the public about possible effects to the development of embryos due to exposure to the drug. 2) The manufacturers violated federal laws and regulations by promoting uses for the drug which were never approved by the FDA. The complaints also assert GSK did not submit reports it received to the FDA because they went “missing.” Attorneys allege GSK started receiving reports in 1992, a total of 200 of them, about the possibility of the drug causing birth defects. However, they were supposedly lost when the company was sending them to the FDA. In January of 2016, a federal judge denied GSK’s request to dismiss the complaints based on the defendant’s claims the allegations are based on state laws, not federal ones and the FDA would have denied the label change. However, the District Court judge ruled that the 200-plus plaintiffs could continue with discovery in their cases for now. As of May 9, 2017, a total of 366 complaints have been combined under MDL #2657. Lawsuits were also filed in 2016 by Canadian women alleging the drug caused birth defects after their babies were exposed to it in utero. The complaints show the women were prescribed the drug for nausea and vomiting connected to morning sickness. The labels in Canada stated the safety of Zofran for pregnant women had not been established, but there wasn’t any mention of the risks associated with taking the drug while pregnant. The lawsuits against GSK, and Novartis, have not been settled as they are still in the discovery phase, but decisions on questions of evidence are being heard and ruled on. Plaintiffs have asked the court to certify questions to five state supreme courts about whether a manufacturer could be liable under state law for misrepresentation after creating a market for a drug by promoting an off-label use for it. When courts certify a question, it means they want the opinions of sister courts on questions of laws. On April 6, 2017, a Massachusetts federal magistrate granted a motion to compel GSK to produce documents concerning the US Department of Justice’s investigation into the promotion of the drug for off-label purposes. GSK plead guilty to three criminal charges brought by the federal government and settled the fraud case against them for $3 billion. The company has yet to produce the documents, so another motion was filed in early May to force the drug maker to provide the information. Since there haven’t been any proceedings in these cases yet, there haven’t been settlement offers. Usually a defendant will not present settlement offers until some cases have been concluded and they have lost them. So far, this isn’t applicable for the cases involving Zofran. Atrial septal defect, which is damage to the upper right and left chambers of the heart. You need to consult with an attorney regarding the possibility of filing a complaint against the makers of Zofran. Although the statute of limitations may have passed for filing a suit in your state, an attorney can argue due to allegations of fraud and concealment of information by GSK, you should be eligible to have your case heard. Complaints against large corporations like GSK and Novartis could take years and cost thousands of dollars. However, most attorneys will take these types of cases on a contingency basis so you do not have to pay out of pocket for their representation. If the case is won or settled in your favor, then your attorney will collect his or her fee from your winnings. If your child has been born with birth defects after you were prescribed Zofran for morning sickness, speak to an attorney about filing a complaint to receive the compensation you and your child deserves.